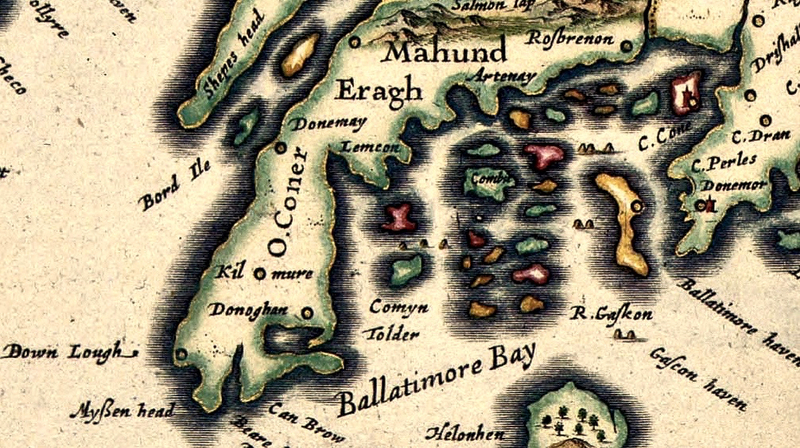 The coast of west Cork, in particular, was eminently suitable for sheltering ships in need of careening and victualling: bays, coves, inlets and estuaries abound and Carbery’s Hundred Isles (in fact many more than a hundred but it depends on what you count as an island) offer refuges a-plenty. 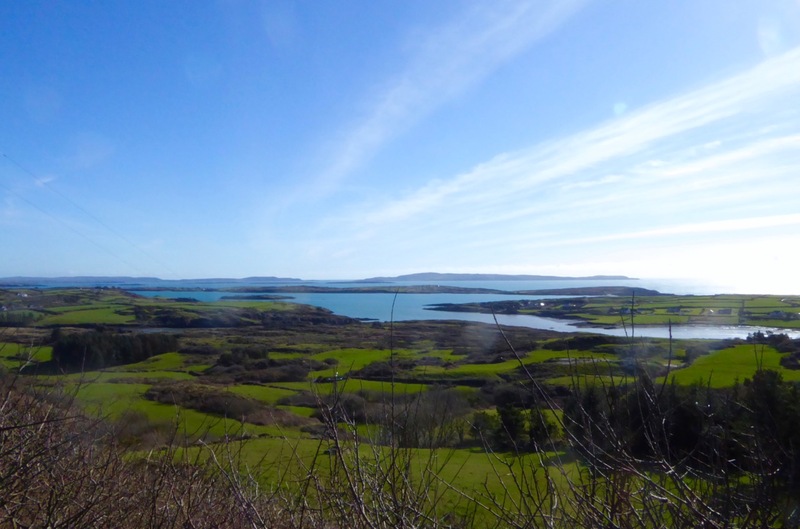 In Captain Harris’s time there was only one naval ship patrolling the whole area from Kinsale around to Bantry and beyond – and this was the Tremontane – an ancient leaky pinnace which could be easily outrun by any respectable pirate crew. All the more unfortunate, then, for my forebear and his band who fell into the hands of the authorities, no doubt through some act of treachery or double-dealing. 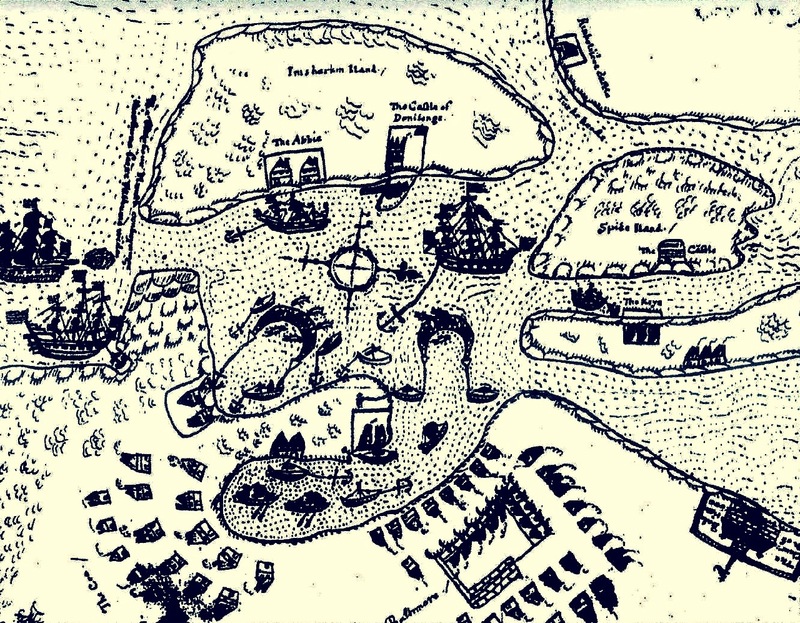 Captain Harris’s family paid to retrieve his body from the gallows at Execution Dock (above left) and gave him a Christian burial. It was more usual for the bodies to be immersed by ‘three high tides’ before being disposed of. In particularly notorious cases the corpses were tarred and then hung in gibbets (iron cages – above right) to remain in public view. Captain Kidd was displayed this way for at least forty years after his death in 1701. 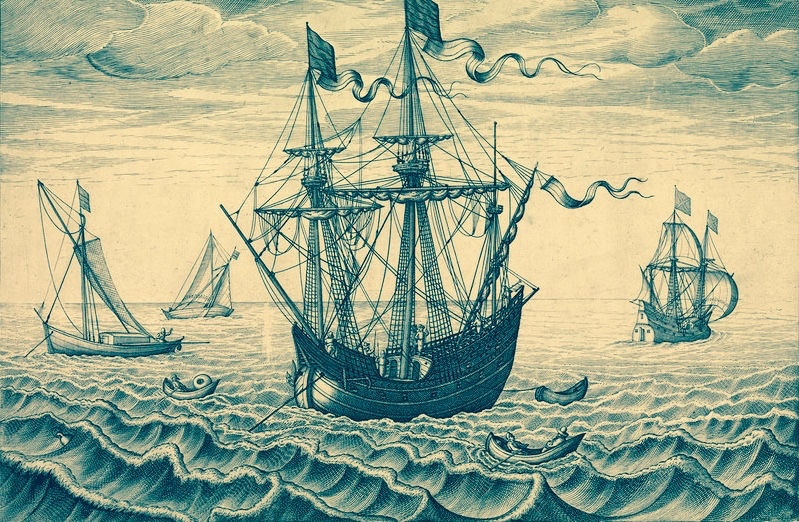 …The Irish folk surreptitiously colluded with pirates. When a captain needed supplies, he sent word of his needs. The reply to his note told him where he might find “so many Beeves or other refreshments as he shall need” on a specific night. When he and his men came ashore, they were to fire upon those who tended the herd, which allowed the herders to claim that they had been forced to hand over the cattle. Later on, he secretly landed “the goods or money in exchange, which by custom, they expect must be 2 or 3 times the value” If the pirates desired arms and/or ammunition and the Irish had any, they traded those items, too… (from Pirates and Privateers – The History of Maritime Piracy – an excellent online resource compiled by Cindy Vallar). This entry was posted in Ballydehob, Baltimore, Bantry, Irish Culture, Irish History, Roaringwater Bay, Rossbrin Cove, The Mizen Peninsula, West Cork, West Cork Blog and tagged Captain James Harris of Bristol, Captain Kidd, Cindy Vallar, Crough Bay, Earl of Cork, Execution Dock, Fastnet Maritime + Folk Festival, Gibbeting, John Speed's Map of 1611, Leamcon, Pirates, Pirates' Nest, Sir Henry Mainwaring, Sir William Hull, The Pinnace Tremontane. Bookmark the permalink. Not much has changed really, then ? Yes, Amanda. Although he is said to have had the traditional two pints of ale on his way to be executed – and then thrown his hat to the crowds! Something beautiful about those old maps; and your ancestor sounds a lot of trouble! Grim way to go though.